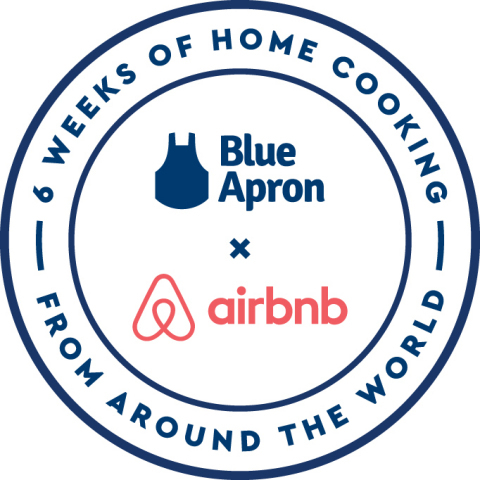 NEW YORK--(BUSINESS WIRE)--Blue Apron, known for delivering incredible cooking experiences, and Airbnb, a global travel community that offers magical end-to-end trips, today announced a partnership titled “The Best Home Cooking from Around the World,” to bring a global culinary experience to home cooks across the country. The partnership is a collaboration between Blue Apron’s culinary team and hosts from Airbnb Experiences, handcrafted activities designed and led by local experts that are bookable through Airbnb. "Sharing culinary traditions is such a powerful form of cultural exchange. There's nothing better than people coming together in local communities, breaking bread and making friends over cooking - or eating - a meal," said Joe Zadeh, VP of Airbnb Trips. "Since launching Airbnb Experiences, food has become one of the most booked categories on our platform. Given how much these activities mean to people when they travel, it's wonderful to see Blue Apron bringing Airbnb Experience-inspired recipes back to the home!" For more information on Blue Apron, please visit: www.blueapron.com/airbnb.